Did you know some of the most influential international fashion leaders are headquartered in & near Barcelona? Which means opportunities in the headquarters as well as in supplier companies (design studios that work for international brands until the development of the sample). The Barcelona job market offers an opportunity to challenge yourself in a creative and dynamic environment, to move your career forward and invest in your professional self-growth. Art is everywhere on the streets of Barcelona and it is beyond graffiti. Even the store shutters are gaudily painted. The historic buildings are a delight to the eye even if seen before, you have a modern landscape created by Gaudi contrasting spectacularly with Gothic and Art Nouveau backdrops. With every step you take through the streets, you are very likely to walk by something historically significant. The city seems to be a museum itself, and all you need is your legs and eyes to get inspired. 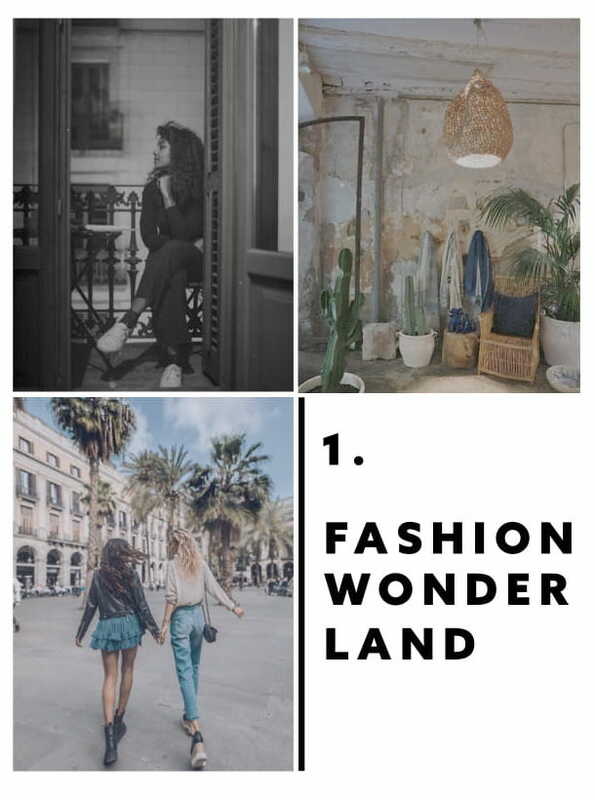 Walking around the different districts, like El Born or Gracia, you will see many local small stores around that showcase the eclectic & cultural side of fashion in Barcelona. Barcelona really knows how to celebrate. From small public holiday festivities to huge street parties, you will always have a reason to celebrate. The happiness & culture of the city really shine through in these moments, and even if you are not a local – you will automatically feel welcomed and part of the community. It is a city that never sleeps. 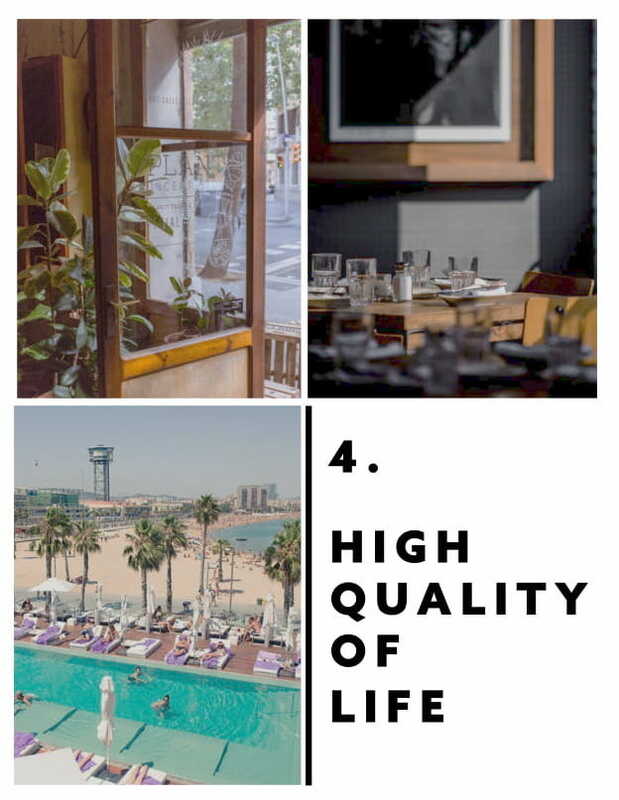 You will not be short of things to do on a Friday evening, from having a glass of wine on the beach front to indulging into the Catalan cuisine in a local restaurant surrounded by a very vibrant cultural scene – unarguably, It’s a great start to your weekend. Not even Winter can stop this lifestyle, during the colder season you can enjoy an evening on the many terrace’s with euphoric views. 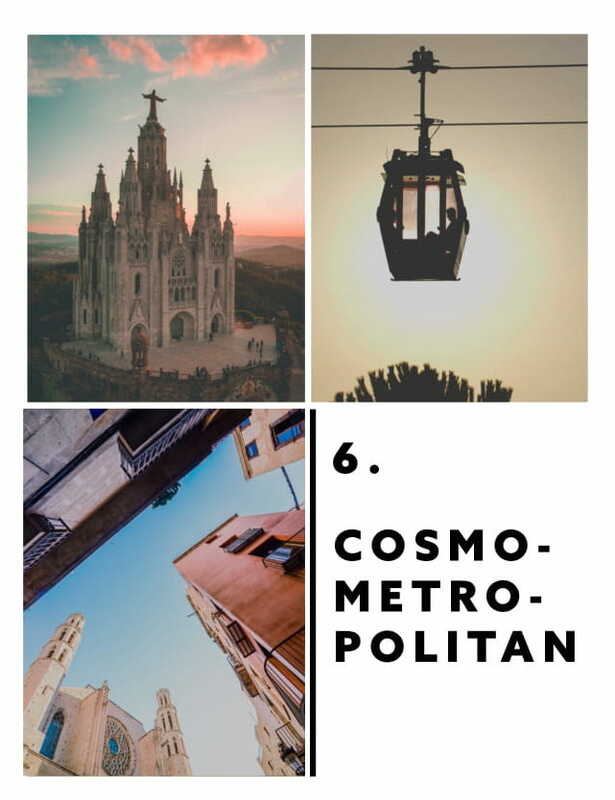 Metro, buses, taxis, electric scooters and bicycle sharing – Barcelona offers it all. The city offers excellent routes to discover the city through cycling if you don’t feel like walking. 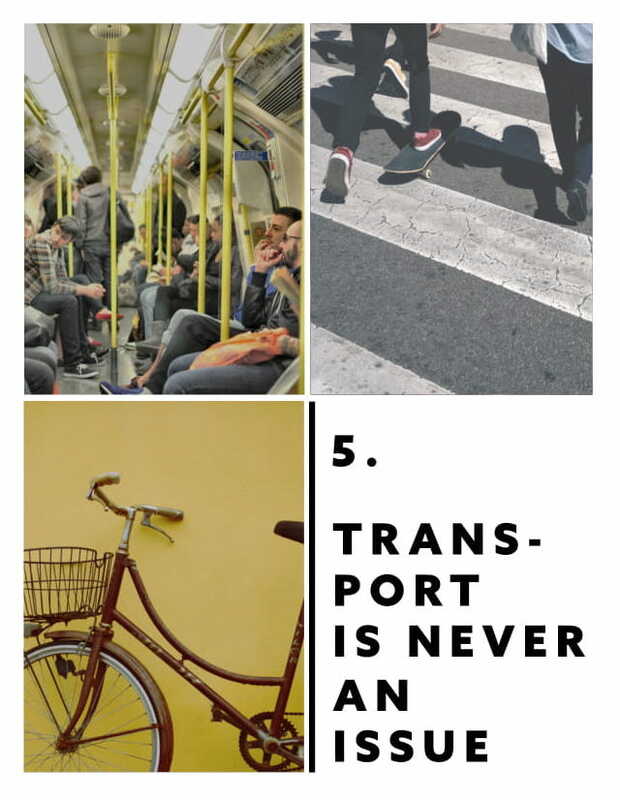 Not to mention the very efficient public transport system takes discoverability to further heights. Even as a tourist, getting to the city from the airport is not sweat at all. It goes without saying, you definitely don’t have to worry about how you will get to work. 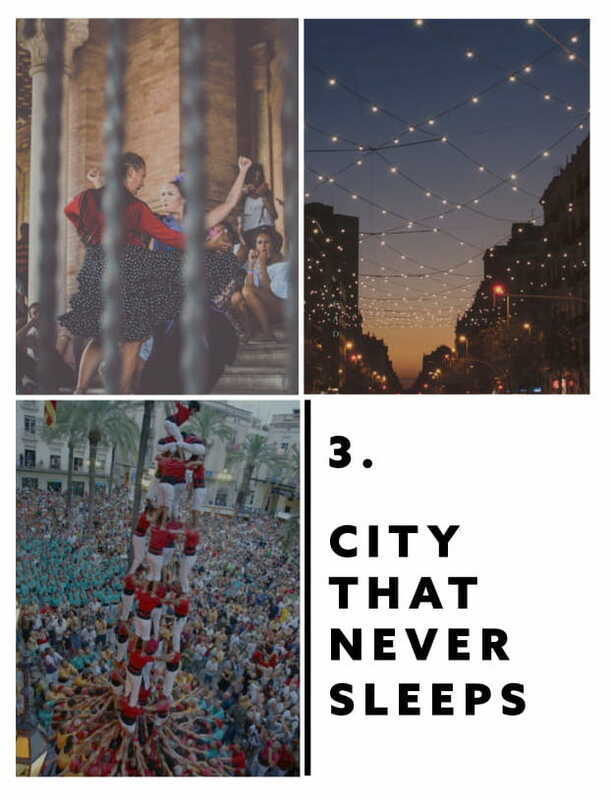 Barcelona is the perfect mash up between a cosmopolitan and metropolitan city. In 2018, studies show that the 18% of the population of Barcelona is made up of foreigners. Working & Living in Barcelona, undoubtedly, means affiliating with not only Spanish but also people from all over the world. Which also means that you can get by without perfect knowledge of the Spanish languages. 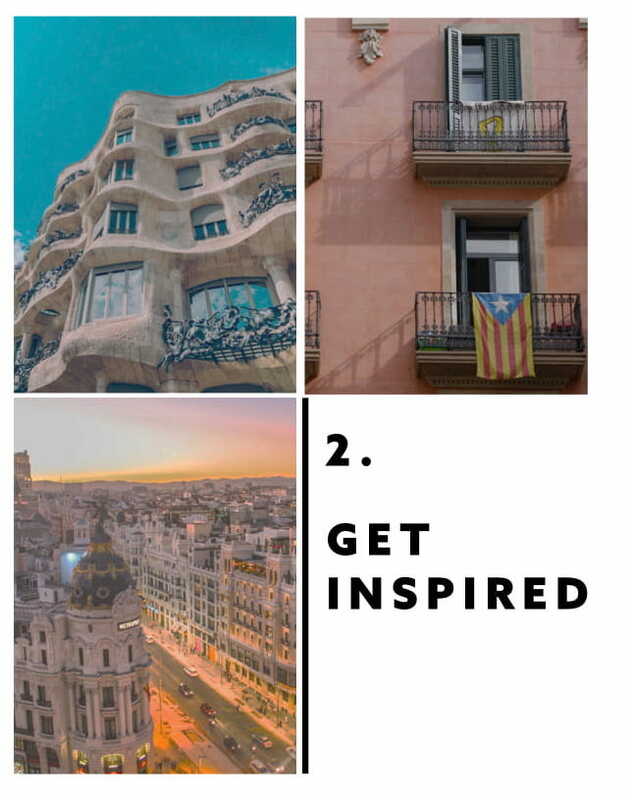 During the Summer (but not only) there are many little towns, beaches & cities near distanced to Barcelona that are perfect for an affordable get-a-away. You need to travel maximum a 2 hours in order to reach treasured spots with great beaches & local food, great examples are Begur and Sitges. 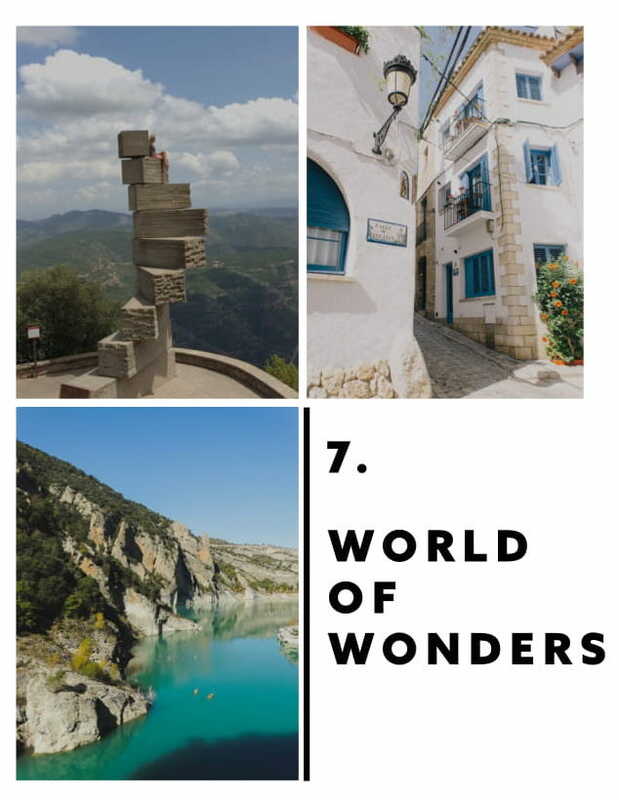 The city is also just a two-hour drive from the ski resorts of Andorra, while to the west lies the mountainous region of Terra Alta, often compared to Italy’s Tuscany and a magnet for explorers and heritage-lovers. The general cost of living in Barcelona is much lower than the one of fashion capitals. With the various opportunities of local restaurants, different accommodation possibilities and transport choices – It all in all creates an affordable lifestyle. 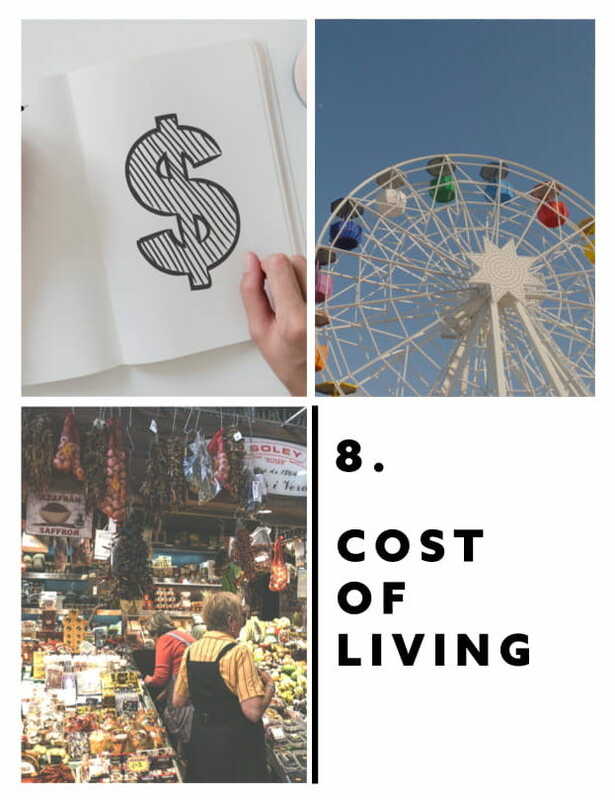 According to a data analyst, the monthly cost in 2018 for an individual is on average €600.00 without rent (https://www.numbeo.com/cost-of-living/in/Barcelona).